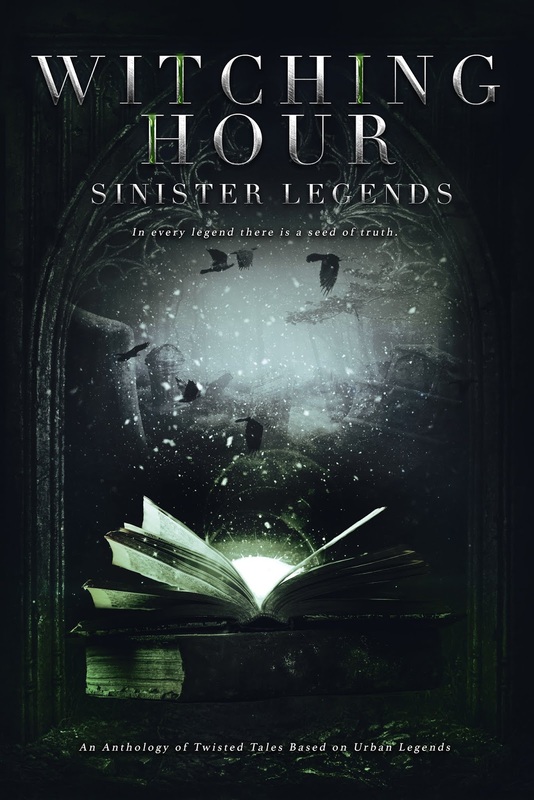 SUPERNATURAL CENTRAL: WITCHING HOUR: SINISTER LEGENDS Anthology! What if our dreams hid us from more than consciousness? Almost the entirety of Kaya's marriage has been spent in the tortured grip of her husband's horrific insomnia. Darryl's illness has nearly destroyed their lives though they cling to one another. No matter how hard it gets, Kaya swears she will be there for him, and she has stuck with him through trials, studies, and experiments. Now Darryl has a new plan: participate in an experiment intended to completely eliminate the need for sleep. Kaya fears what this may hold though the doctor appears kind and competent. A blue-cloaked stranger adds to her concerns, warning that sleep is not only essential for sanity but hiding us from predators that hunt us across the dimensions. But convincing her husband, the doctor, and the other members of the experiment proves almost impossible, and Kaya must uncover a new solution or lose the man she loves forever. "I’m fine." Kaya paused, seeing Janis staring intently into the chamber. He didn't appear to be looking at anyone. His gaze instead was transfixed on a point on the wall. "Is everything all right?" Kaya peered inside as well. Janis slipped in front of the speaker. Not moving his eyes, he held down the switch. "We've passed day six, and you’re all doing quite well. All your vitals check out. Good breathing. Good focus." He sounded as if he intended to read a bedtime story. Yet his body language was sharp and tight. "Now I want you to take a moment and look around the room. Look at the walls, the floor, the ceiling. Do you see anything new or unusual?" Darryl scratched his head. "Should we be worried?" "Are there creatures coming in?" Jeremy dropped his book, looking around wildly. "What are we supposed to be looking for?" Brenda asked. "Just anything that seems unusual," Janis said, his voice as measured and calm as before. Dr. Nem slapped Janis's hand. "Stop." He shoved Janis away and pressed the switch. "Please pay no attention to that. Nothing is different. Everything’s fine." Kaya glanced back at Janis. Though he had backed away, his gaze remained fixed on that point. Goosebumps prickled along Kaya's arms. "What do you see?" "Possibly nothing." Janis forced a smile, but a tremor of fear passed through his face. The doctor sighed. "Enough, Mr. Janis." Janis's brow furrowed. He opened his mouth to speak, then left. Kaya followed. She quickened her pace as he passed through the doors. "Wait! What did you see?" The doors thudded shut behind her. Kaya’s heart raced faster. "What did you see?" Janis wiped his face on his sleeve. "There's now a fissure in our dimension." "A fissure?" Kaya echoed. "Could it be something else? A crack in the glass or the wall?" She hadn't seen anything though. Maybe he’d imagined it. "Can you sound more convincing?" "I’m going to reiterate my first point. This experiment ends in death. You should go." "I'm not leaving Darryl here!" Kaya snapped. "Then you and he will die, and there's probably nothing I can do to stop it!" 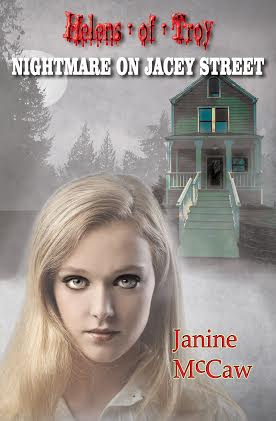 Janis thrust his hands into his hair and ripped them out. Fine strands of pale blond hair clung to his fingers. He trembled, closing his eyes. "I’ll do everything I can to keep everyone alive. I will. I promised that." Though his hands still shook, he strode away. Cory and Sapphire are lost. When they meet at a support group for coping with a deceased parent, they find one another. Everything’s seemingly perfect until unexplained occurrences happen where the two call home. They find out their lives on a vacation island aren’t all beaches and relaxing summer days. The events from fifteen years ago refuse to stay concealed. Who, or what, is the source of these disturbances? Is it their parents who passed too soon trying to contact them? Or is it something much darker? The young pair are forced to uncover the secrets buried in the sand. It’s a risk that will not only threaten their budding relationship, but their lives. The quiet footsteps interrupt her moment of relief. She’s rooted to her place in front of the sink, absolute fear paralyzing her. Suddenly it sounds like someone's running at her. Remaining still, afraid to even look away from the sink, she's frozen. “No, Quinn, I’m not.” Sapphire's voice cracks. “I feel like someone’s here, Quinn. I don’t know if it’s human, a ghost, or even my dead mother. I just know that I’m not alone. I heard footsteps sprinting at me, and I didn’t do anything! I just stood here.” Quinn stays silent through Sapphire's breakdown. At the end of it, she seems frightened and relieved at the same time. Suddenly without her identical twin, Bree Carpenter attempts to heal and become her own person despite constant reminders of the shy, smart sister she recently lost. But Lena’s memory may be more dangerous and sinister than she could have ever been capable of when she was alive. Is it possible for the suppressed anger and resentment Lena felt before she died to come alive and murder those who want to remember her? Can a person’s existence be completely erased into nothingness? Justin thought he heard a knock at the door, but he wasn’t sure he’d be able to distinguish that sound from the pounding in his head. “Why do I do this too myself? Damn my Irish liver,” his words sounded unfamiliar even to him. Too many shots of whiskey had left his throat dry and swollen. Attempting to stand, he braced both arms on his bed to push himself to an upright position. Focusing on the room around him, it was difficult to determine which direction he needed to shuffle his feet toward. Hearing three distinctive loud knocks, he knew someone was trying to get his attention. “Hold on! I’m coming, it will just take me a minute to get there. If that’s you, mom, please come back later. You wouldn’t want to see your son in this condition,” he spoke out loud and then laughed at himself as much as he could manage. Justin heard three more knocks, but no verbal answer to his inquiry. Enraged, he opened the door, ready for a fight. “Listen motherfu…” and then he was silent. The only sound in the hallway was a metal bat hitting his skull. He couldn’t scream, there was no time. Justin had no idea he had been hit or that blood was streaming from his eyes almost instantly. He fell hard to the ground and was struck twice more, until his face was unrecognizable. Hospitals are safe places, a place to go when you or loved ones are ill. Old places though have memories, long and distant that sometimes still affect the modern day. Disbelief has no place here, since believe is not needed to be real. Science can still only explain so much. Welcome to the local children's hospital, it might be haunted they say. State of the art technology takes care of everything, right? Flu season had hit the city and surrounding areas, but for most the symptoms were not as intense, especially not in one so young. The fathers had combed through the internet, running out of options. WebMD made it sound as if this awful sickness was a wasting disease, malaria, or worse. The unbreakable fever continued, and not even ice could cool her down. It was consuming her, driving her into herself as she tried to hide under an oversized quilt. Clammy hands curled into claws, holding her tattered rabbit, Mr. Hoppy, in a death choke. The fever ravaged, adding hints of blotchy red patchworking along with the sweats and shakes. Hours had blurred into days as the inferno of illness possessed their little girl. Her fathers watched helplessly in the coolness of the dark desert valley as the endless sleepless nights. Oliver called the nurse’s hotline for the hundredth time. The woman’s voice came through the phone swiftly after the dull hold music. “How can I help you this evening?” She spoke gently, dealing with stressed parents had given her a soothing tone to keep people calm. Once finished, he was out of breath, and the nurse waited a moment to make sure he wouldn’t continue. After losing her grandmother in a horrible murder, a young woman starts examining her family legend. She finds herself wondering: What would drive someone to run clear across the world, just to get away from their nightmares? 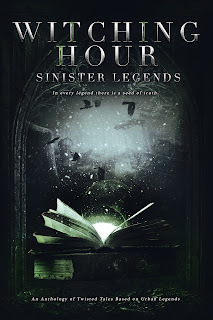 As Heather discovers, the past will come back to bite you. Torn from her vacation in The Big Easy, Detective Clary Young headed to northern Arizona and her newest case. A specialist in the field of paranormal serial killers, law enforcement had evidence pointing in that direction, and they needed her help—pronto. Little did she know, she’d find herself embroiled in something bigger and far more sinister. Images of fire and smoke moved in a slow frame-by-frame picture show behind her eyelids. Men dressed in beaded deerskin breeches with feathers braided in their hair danced around a bonfire—their skin shiny and soaked with sweat—the movement of their limbs sinuous and hypnotic. The thump of animal skin drums beat in a deliberate, steady rhythm in the night. Chanted words floated and weaved with the drumbeats and drove the steps of the dance. A pair of orange eyes blinked open outside the ring of fire—watching. They hovered in an invisible body that paced back and forth, just out of sight. A distorted scream answered him—the answer a macabre mixture of tortured animal and human alike. The night breeze shifted and disturbed the flames of the bonfire. Their shadows stretched into hungry mouths and slid angrily across the dancers’ naked chests. Movement on the periphery caught their interest and all heads turned as one to focus there. The stench of rotting flesh blanketed them as the next breeze passed through the group. The demon stepped into the ring of light amid a chorus of angry growls. “Silence.” The warrior’s voice thundered over the din, the reverb snapping everyone to attention. A coffee-brown wolf, at least four feet at the shoulders, padded toward them. Its fur hung in matted clumps of dead skin and mud. Old blood stained its muzzle a copper brown, its face twisted and distorted painfully as flies buzzed and hovered. Maggots created an eerie wave of moving flesh under the hanging fur and fell to the ground in little writhing clumps with each movement forward. Amy loathes working at La Popular dress shop. It's not the job, it's the tourists, who come from far and wide to view La Pascualita, the corpse bride. Not a real corpse, just a detailed mannequin, but skeptical Amy has to sell the legend. When a mysterious Frenchman rolls into town, Amy learns a whole new side to La Pascualita's story and stumbles into the middle of a tale of love lost that might be found again. It was a 1936 Ford Tudor, lovingly restored with a mirror chrome finish. There was nothing like it on the streets of Chihuahua; it caught every eye as it purred down the road. The windows were tinted, obscuring the driver as if the glare of the sun didn’t accomplish that already, but as the brilliant machine stalked into town, it seemed to bring a shift in the wind. The cold front rolled in, a chill gust that speared through the mid August heat. People found themselves shivering, breaths misting on the air. Their ears popped as the pressure bottomed out and the first crack of thunder rumbled as the chrome car pulled to a stop across the street from La Popular dress and bridal shop. La Pascualita stood in the window, bearing the latest fashion, the same small, mysterious smile on her lips. The clashing clouds overhead imitated the churning mood of the vehicle’s occupant who blew a stream of cheroot smoke through his nostrils behind the tinted windshield. Kieran knows one thing about the mysterious Amelia--she's all he wants in a woman. But will he still love her once he knows her secret? “Have you ever seen a ghost?” he asks. “Yes.” She doesn’t say anything else, but squints at the people coming down the stairs to the subway platform as if seeking a friend. He stares at her, wondering if she’s putting him on. “Really?” he asks. It does. Funny how living humans can give the same sensation. A frantic cry for help from the past lures a reporter to a small town outside Seattle in search of the truth. Was the man who wrote it a madman or a victim of something that frightened people in the town for years? As the reporter reads his journal and unravels its clues, each chapter becomes more horrifying and may be affecting the lives of those around her. Is it a cry for help or an urban legend that’s marked her as its next victim?